Nestled in the beautiful rolling hills of Appalachia and located near the Amish village of Peoli in southern Tuscarawas Couty Ohio, the Radca Ranch School of Ceramics offers you a place of learning, relaxation and personal growth. 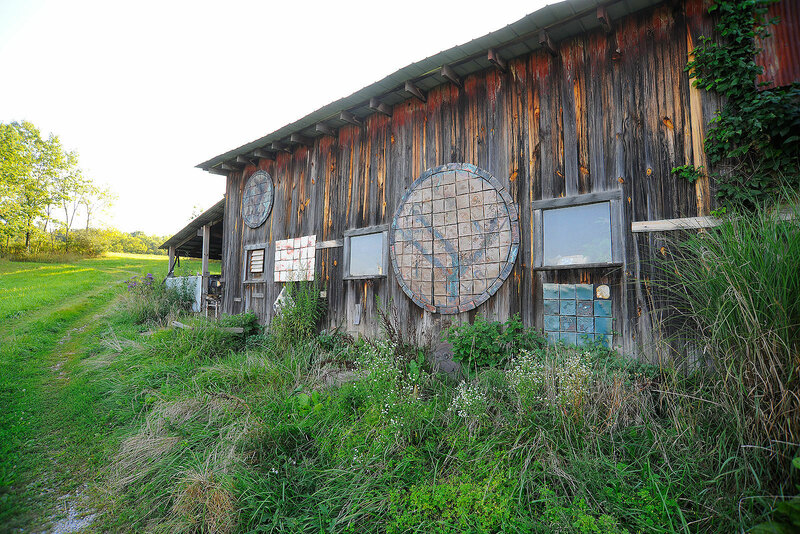 Radca Ranch is situated on a 36 acre tree farm with a variety of buildings, including the original 1838 Barn and Log Cabin. The rustic charm of the cabin is only surpassed by it's history... it was the birthplace of Denton True "Cy" Young, perhaps the greatest baseball pitcher of all time. While historic, it welcomes you with modern amenities. Our dorm is almost finished , we will keep you posted. Classes will be one week long, No experience is needed. Learn the secrets of our glaze, our method of creating tile and how to turn tile into wall pieces. Yes just one glaze from matte to glossy, green to red. Cone 09 to cone 3. Email us , and we will put you on our School mailing list. Thanks for your interest. Large facility with great view and abundant natural light. For ceramic enthusiasts, the highlight may be our 7,000 square feet of studio space that encompases both new facilites and our rustic, antique barn. 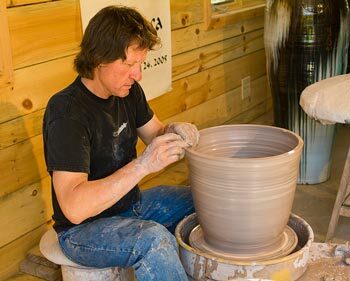 Here you will learn tile making and installing, find out how to make inexpensive kilns, and even discover Tom's techniques of throwing and firing large vessels and plates - up to 35" in diameter! 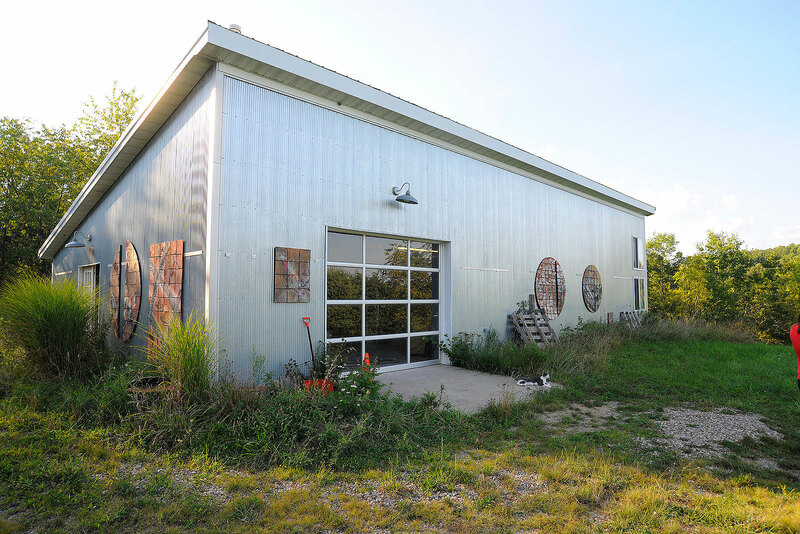 With 50 square feet of gas kilns, and smaller kilns for sagger and raku, participants will have the opportunity to throw and finish their own pieces, as well as gain experience from Tom's experience with different firing and glazing techniques. Sharing is the theme of the school, and we hope you will leave with a different perspective on ceramics! If you are interested, please call 740.502.4374 or email Tom today!
" he has the ability to facilitate your desire to explore and push you to new limits"
" Never in my wildest dreams could I feel so comfortable splashing slip and glazing." " Tom’s goals are set to make things better for everyone"
" This was certainly the best ceramic workshop I have experienced. " 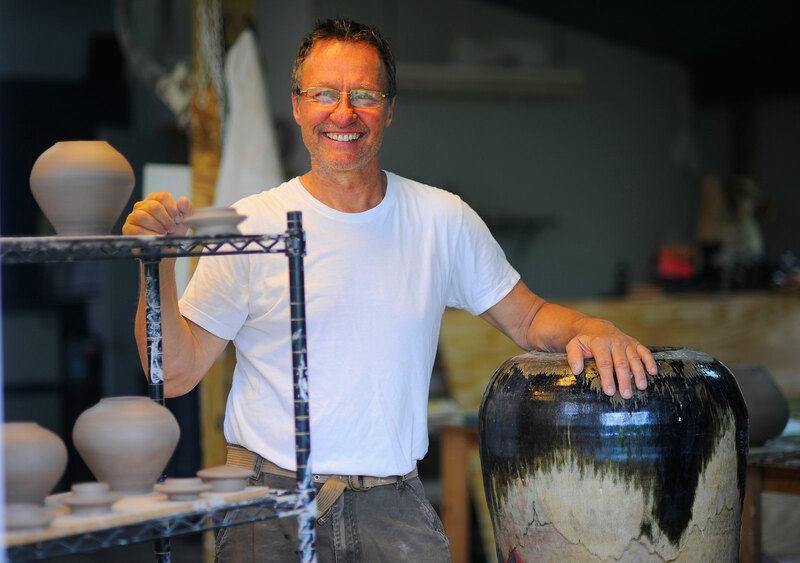 To receive updates from Tom about new work, upcoming events or workshops plaese enter your email below.